An Apple Developer Account is the primary requirement to publish your iOS application on the Apple App Store. The same account serves the purpose of multiple application submission. 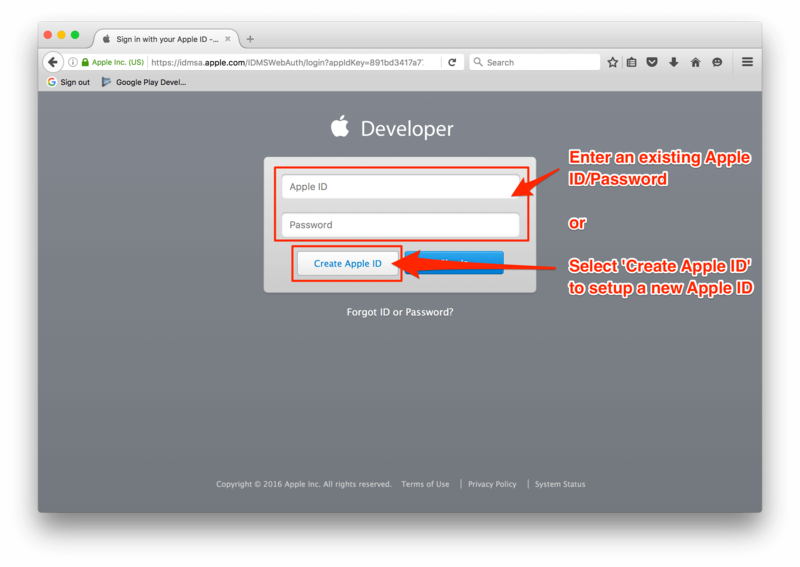 You can watch the video to set up your Apple developer account or follow the step mentioned below to quickly create an iOS Developer Account. Step 1. Visit the URL https://developer.apple.com/enroll/ and click over Start Your Enrollment. Step 2. You can either Sign in with an existing Apple ID or create a new Apple ID by clicking ‘Create Apple ID’. Step 3. 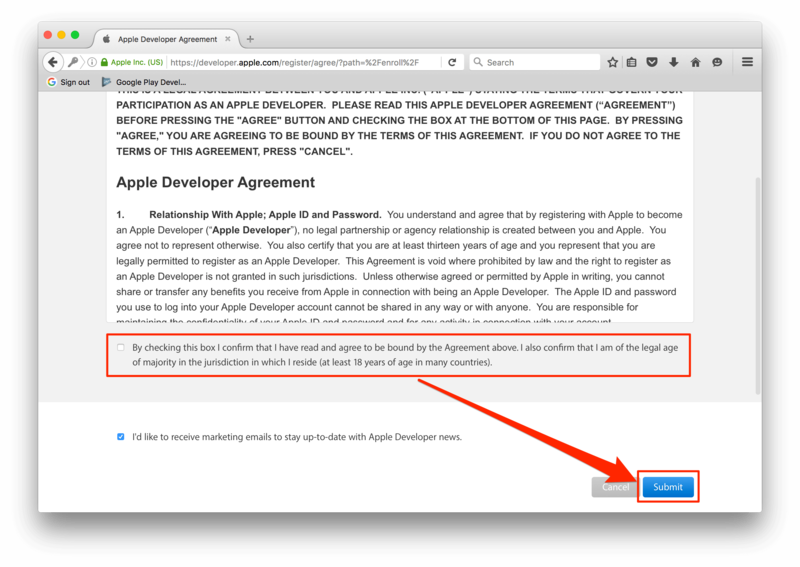 Now you need to completely read the Apple Developer Agreement before checking the ‘By Checking this box I confirm that I have read and agree to be bound by the Agreement above….’ box and click the ‘Submit’ button. Step 4. In this step you need to confirm that your email address, name, and country location is correct before selecting an appropriate options from the Entity Type dropdown. The Developer name listed on the iTunes App Store is on-behalf of the account type selected from the options below. Apps published by Individual Developer Accounts will display the name present on the Apple Developer Account. Apps published by Company/Organization Developer Accounts will display the Company Name present in the Apple Developer Account. 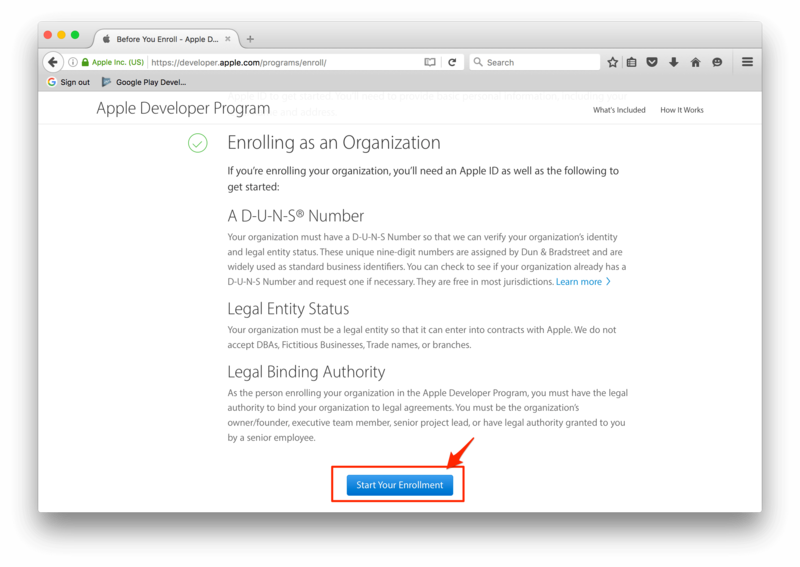 Individual/Sole Proprietor/Single Person Business: In case an Individual or a company without an official business can choose this option that will allow creation of single primary login in the Apple Developer Account. Company/Organization: All legally recognized companies that have a Dun and Bradstreet number can choose this option. It will enable creation and management of multiple user login with different permission capabilities for every login. Step 5. 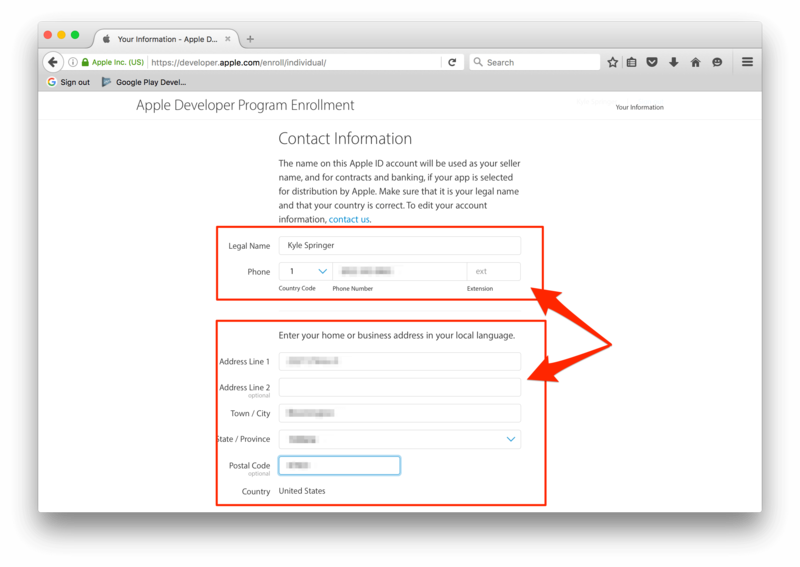 Now, fill the Contact Information regarding your Apple Developer Account. Step 6. At the end of the screen after reading the Apple Developer Program License Agreement simply check the ‘By checking this box I confirm that I have read and agree…’, box and click Continue. Step 7. 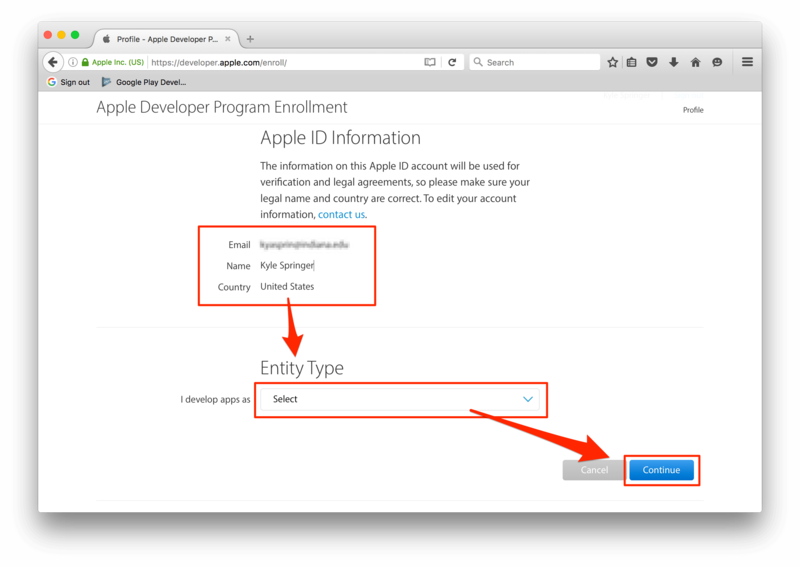 Click Continue after confirming the Apple ID Information, Entity Type, and Contact Information. Step 8. 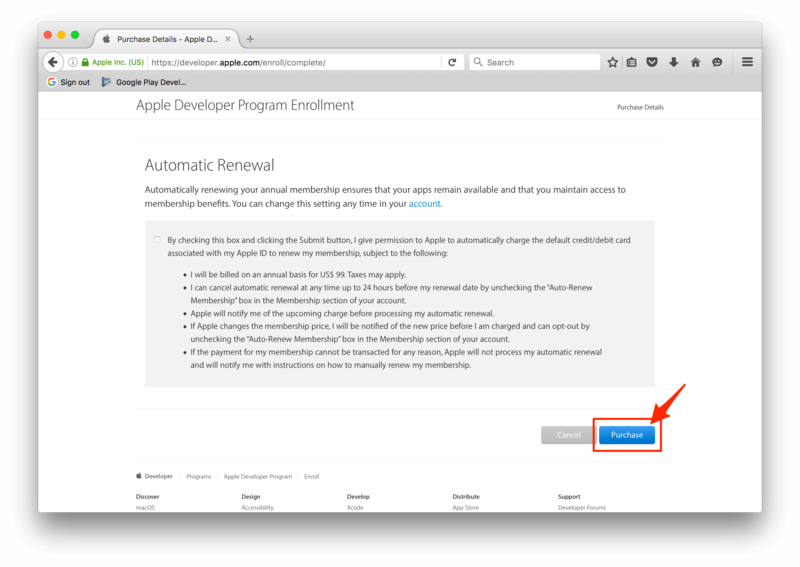 Opt the auto-renewal box (this is optional) if you are interested in automatic renewals now click Purchase to enroll and pay for your annual Android Developer Account. Step 9. 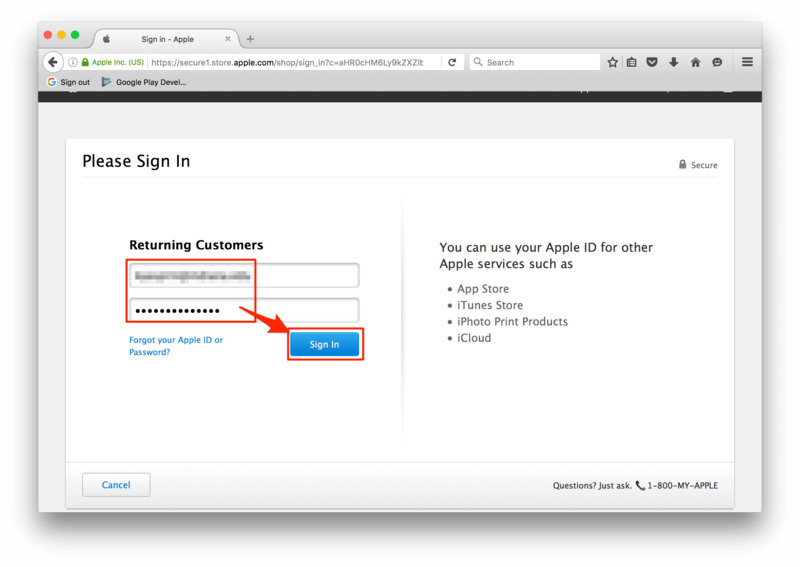 Your are ready to Sign in with your Apple ID/password. Step 10. 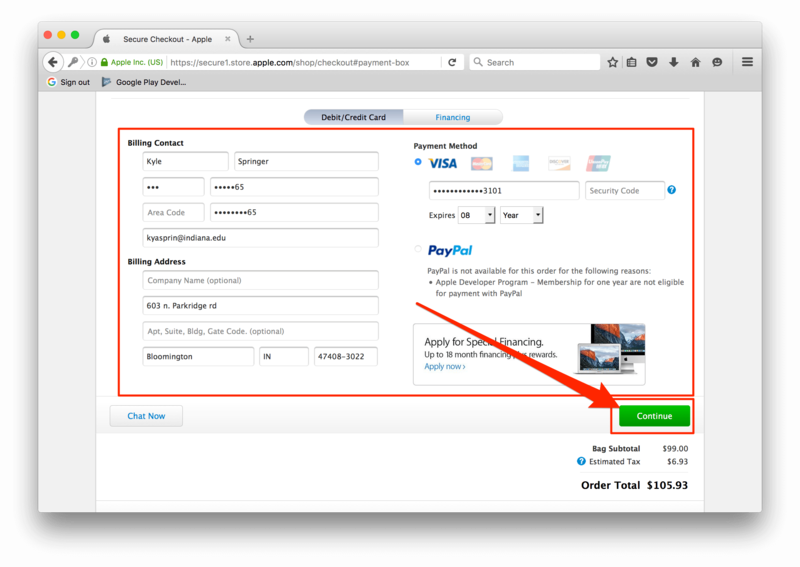 Now enter the required billing information and click Continue for payment completion and setting up your Apple developer Account. Step 11. 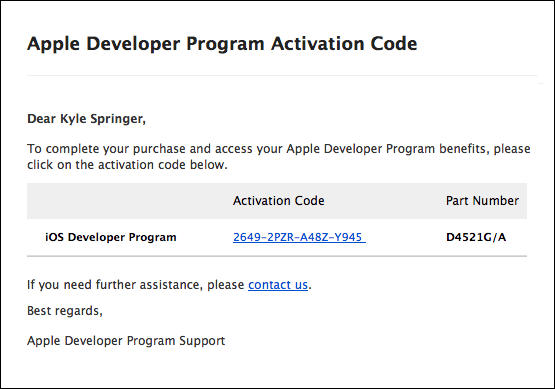 At last, fill the remaining information and receive confirmation email within 24 hours from Apple confirming successful creation of Apple Developer Account. Looking forward to respond to your queries and comments as far as Apple Developer Account is concerned. Currently iOS Developer Accounts are available at $99/year. There can be slight variation in the price based upon your location aprt from the fact that is subject to change anytime by Apple. About Singsys Pte. Ltd. Singsys is a solution provider that offer user friendly solution on cutting edge technologies to engage customers and boost your brand online results from a set of certified developers, designers who prefer optimized utilization of the available resources to align client’s idea with their skillset to reflect it into a Mobile application, Web application or an E-commerce solution.